I recently freelanced as a contractor two days a week for 18 months at Sky Betting & Gaming in Leeds where I was responsible for copywriting across a wide range of sports and marketing comms. 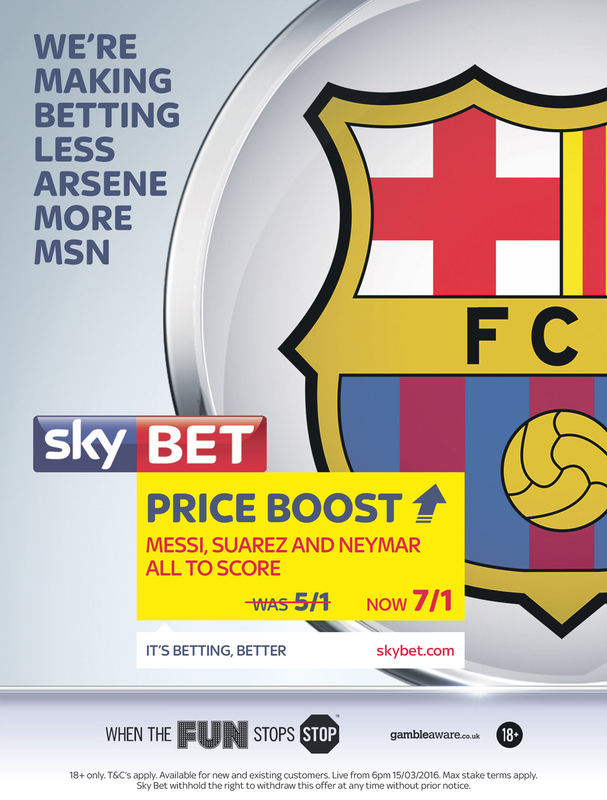 This full page press ad promoting a Price Boost on an Arsenal v Barcelona Champions League match adhered to Sky Bet’s Less/More campaign construct and played on the MSN (Messi, Suarez and Neymar) and Arsene Wenger. We’re making betting less Arsene, more MSN.